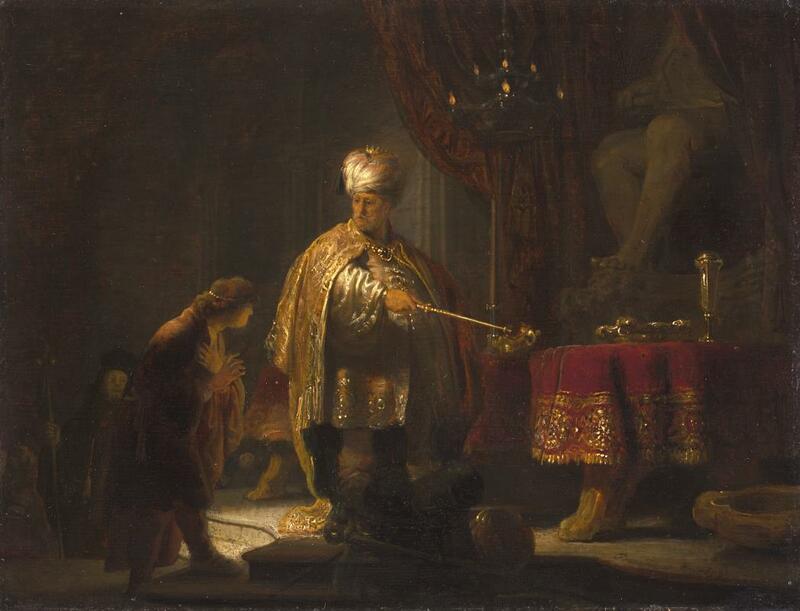 In this scene by Rembrandt the biblical character Daniel is being commanded by the king of the Persians, Cyrus, to worship the idol Bel. According to the story Daniel refuses and is thrown to the lions. But he is delivered by God. The colors are mostly red and gold yellow showing the riches of the king. The light gives drama to the scene highlighting the tension between Cyrus and Daniel.